As an entrepreneur in a fast-paced, technology-oriented business environment like Singapore, how many emails you write and receive in a day? How often do you get results from those emails? 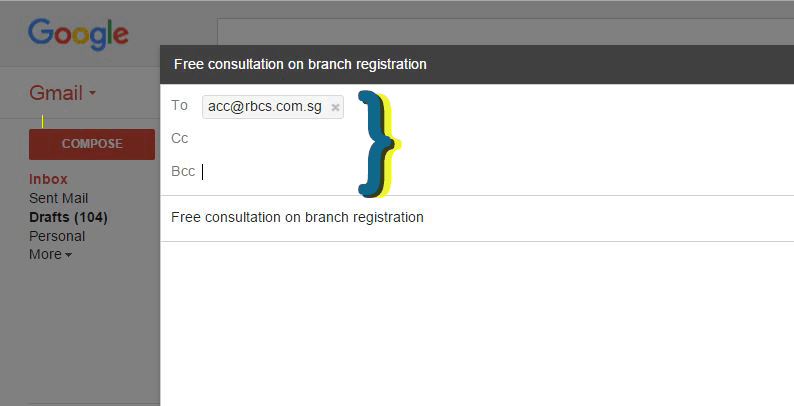 If you are just starting a business in Singapore, you may think email is just a typical aspect of your day to day work. 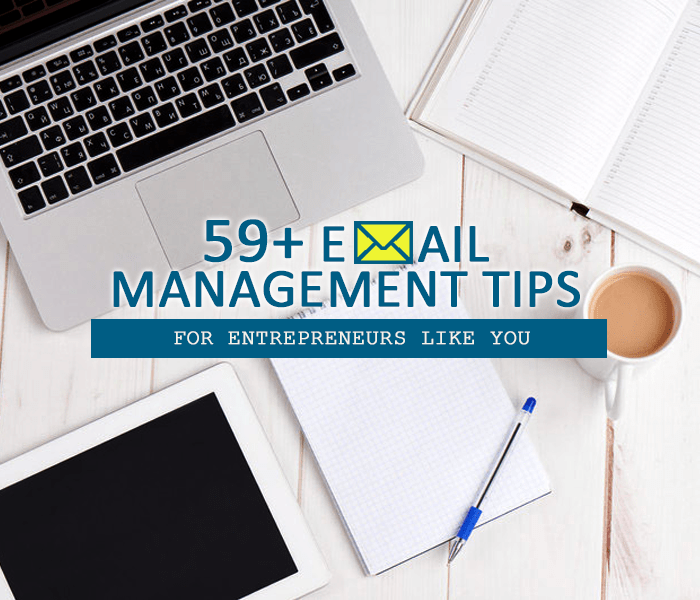 You may not be aware that emails may take a significant part of your business time. If you will not start taking charge of your inbox and striving for results from different letters you send out, you might drown in a sea of emails and find yourself at the bottom hitting nothing at all. According to a survey by The Radicati Group, Inc., the number of worldwide email users in 2015 will be around 2.6 billion and by the end of 2019, the number of worldwide email users will reach over 2.9 billion. Results of the survey also show that the number of business emails sent and received per user per day in 2015 totals 122 emails per day. And this will grow into 126 messages sent and received per business user by 2019. So is there something you can do to manage your emails efficiently and drive results at the same time? 1. Determining why you want to send out your email will help you choose the right words to use in the body of your email and get you the results you want. 2. 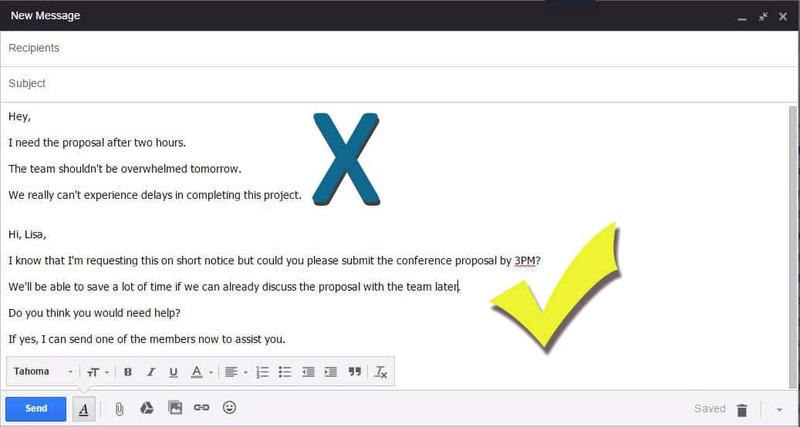 You should ask yourself “is it necessary to send this email?” There are matters that should be emailed, including meeting agenda or details of a conference. But if you just want to get a quick update on a project, just phone the person who can answer your question. 3. Know your recipient well. Will the recipient understand the jargon in your industry or a certain expression from your country? 11. Make sure you spell your recipient’s name correctly. 12. Business writing expert Lynn Gaertner-Johnston says that if you don’t know the recipient well or the context of the email is formal, use the recipient’s title and last name (ex. Dear Mr. Chua). Otherwise, use the first name (Dear Mark). 16. Personalize it. If you want to connect with your customer or establish a great relationship with your colleague or potential investor, show that you’re exerting an effort when you’re communicating with them. 17. Briefly introduce who you are and your affiliation: My name is [your name] and I’m the manager of Feliza’s Tea House. 20. Don’t begin an email with a vague pronoun, such as “it” or “this” (ex. This has been a good opportunity for us.) Be specific if you want to receive a suitable response. 21. Cut the prose. Use short, crisp words as much as possible to get your message across quickly. 22. Use the active voice to create more impact. 23. Pleasantry + politeness. Remember that your email may initially shape the recipient’s first impression of your professionalism. 24. Avoid using slang or informal expressions unless you know the recipient very well and are comfortable with him or her already. 25. Only use jargon when the recipient is in the same industry as yours. Or else the other person will scratch his/her head after reading your email. 26. Be conscious of your tone. To make sure you are not sending the wrong message, keep your choice of words fitting to the context and your approach respectful. 27. Apply the 5Ws and 1H in writing emails. To save time and be understood, disclose the who, what, where, when, why and how–if all are necessary. 28. Limit choices in your message to two (ex. schedule of a meeting, the venue for a product launch, or person to appoint for a position). This way, you can avoid overwhelming your recipient and you can get a quick answer. 29. Proofread your email. Bad grammar can kill the credibility of your message. 30. When you’re not sure of your grammar, check out these books: The Elements of Style, by William Strunk and E.B. White, The Associated Press Stylebook and The Chicago Manual of Style. 31. Don’t hesitate to use grammar checkers online. But review the results to be sure. 32. Plagiarism is a crime. 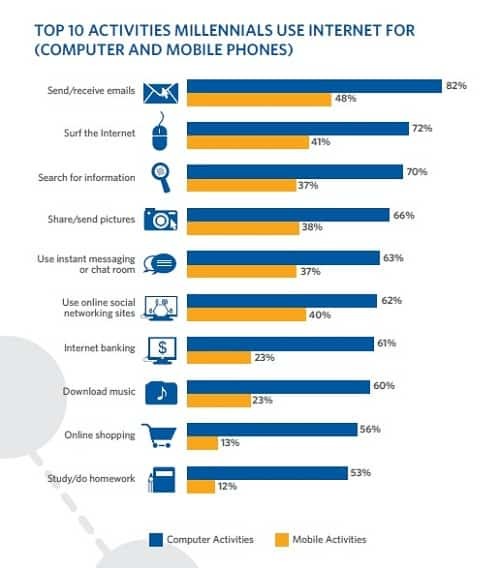 Your recipient may be a wide reader and aware of many types of content online or offline. To ensure complete originality, use Copyscape to inspect your text. 33. Double-check the email addresses of your recipients. You don’t want to send your email to your spouse to your boss. 34. Avoid using CAPITAL LETTERS. 35. Be aware of the proper uses of punctuation marks. 36. Unless you’re going to send an email to your 10-year-old daughter or niece, do not use emoticons. 37. Avoid shortcuts, like LOLs and FTWs. 38. Refrain from using casual fonts to keep your email formal and easy to read. 39. Colorful backgrounds are not formal and may make your text difficult to read. 40. Use bullet points if you will come up with a longer than usual email. 41. Don’t forget to briefly discuss the attachments. What types of files are they? What are they about? 42. Know your company’s or organization’s online policy. 43. If you’re the business owner, you might want to establish an online or communication policy to avoid conflicts in the future. 44. If you’re going to forward another person’s email to someone else, ask for permission first. 45. Keep your email password unique but easy to remember for you. 46. Don’t write your password on a piece of paper or on your phone. 47. Never forget to sign out of your account if you are using a computer in the office. 49. Respond as quickly as you could. Place yourself in your recipient’s shoes. How would feel if you have not received a reply from someone for over a week already? 51. Acknowledge emails even if there is no question in the email. It’s your way of saying that you and the sender are on the same page about a particular topic. 52. If you feel like you’ve become emotional in the email you are writing, leave your computer first and take the time to reflect. When you go back, check your draft again and see if it’s something you won’t regret sending. 53. Do not use the Reply to All feature if the message you will send will matter to only one person. 54. It won’t hurt to say “thank you” at the end of your email. 55. End your email with a “sincerely”, “cheers”, or “regards”. 56. When you are forwarding an email that contains an article or a photo, add a personal comment to show that the material reminds you of the recipient. 57. If you cannot reply to an email right away, you might want to send a quick message mentioning when you can return to the sender. 60. Entrepreneurs have different schedules. The strategy is to know when opening your email will not hinder you from doing your main tasks. 61. As for company or your business’ official email for customer inquiries, hire a staff to monitor them. 62. Don’t use emails for delegating tasks and managing projects; use Google Drive, Asana, or Evernote for smoother operations and efficient updates. 63. Do you like subscribing to online publications, websites, or blogs? Why not create a different email account for them so that you will not drown in emails and you can avoid overlooking the more urgent emails? 65. If there are matters that should be discussed thoroughly, close your email and meet with the parties concerned in person. This can help ensure better resolution, understanding, and clarity. How about you, what are other tips you can add to the list?